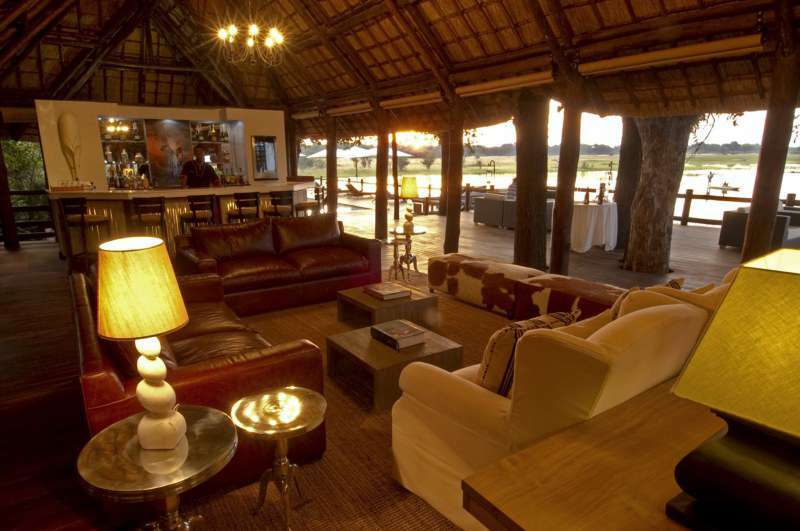 Chief's Camp is one of Botswana's gems, and is perched in the exclusive Mombo Concession on Chief's Island. 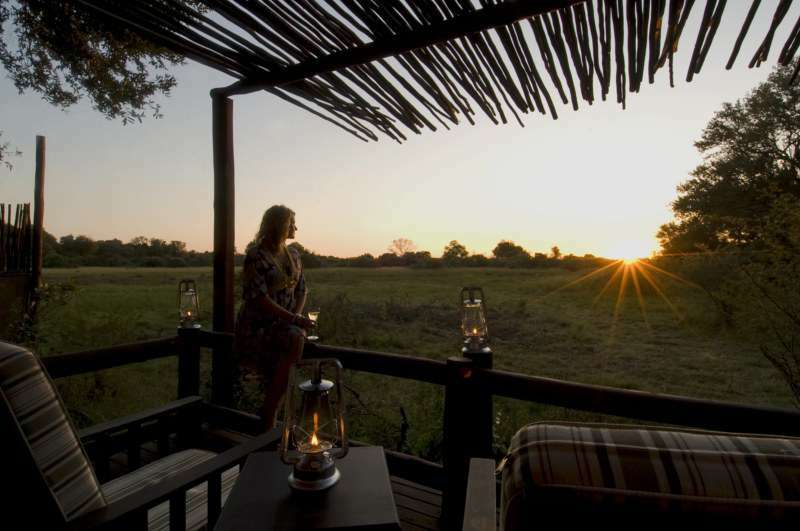 As part of the greater Moremi Game Reserve, Chief's Camp promises fantastic opportunities to spot the range of predators, including wild dog, lion, cheetah, and leopard. The white rhino was recently introduced into the area and this is now the only place in Botswana where these prehistoric beasts may be observed in their natural environment. 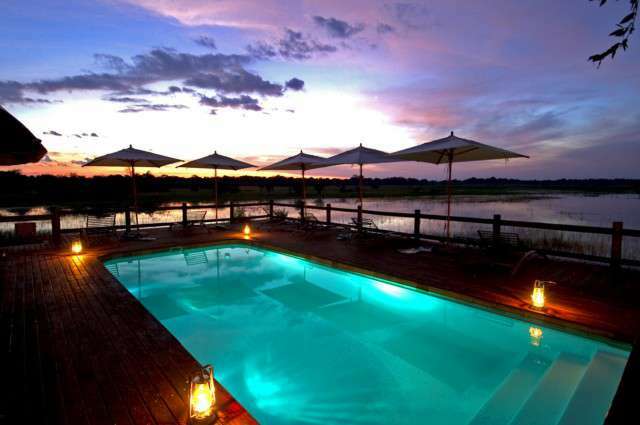 The camp has been designed to blend in effectively with its surrounding environment. 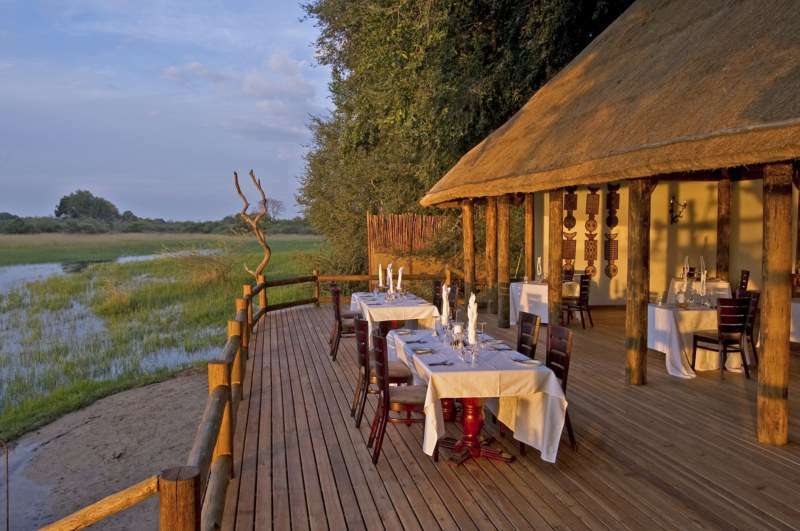 These idyllic surrounds offer the perfect locale for game viewing. 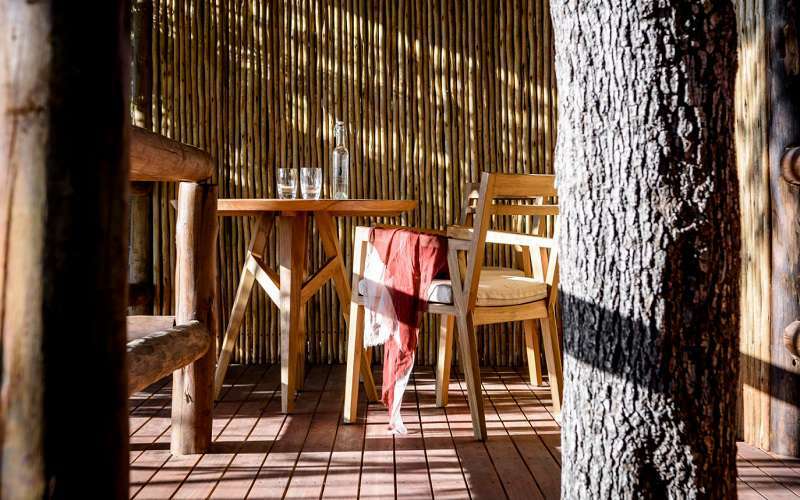 While the rest of the African bush bakes under the hot sun, Chief's Camp nestles discreetly beneath jackalberry trees, which creates a cool, secluded ambience. 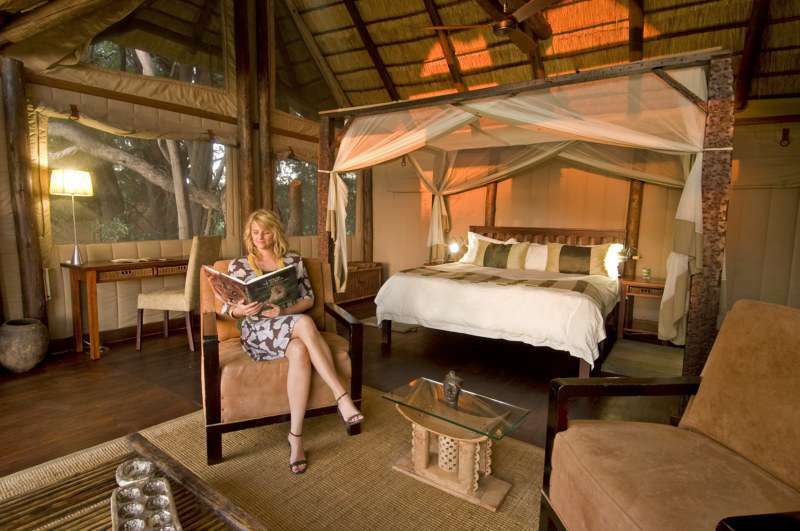 All 12 of the permanent bush pavilions have been designed and furnished in true opulence and style, while maintaining privacy. 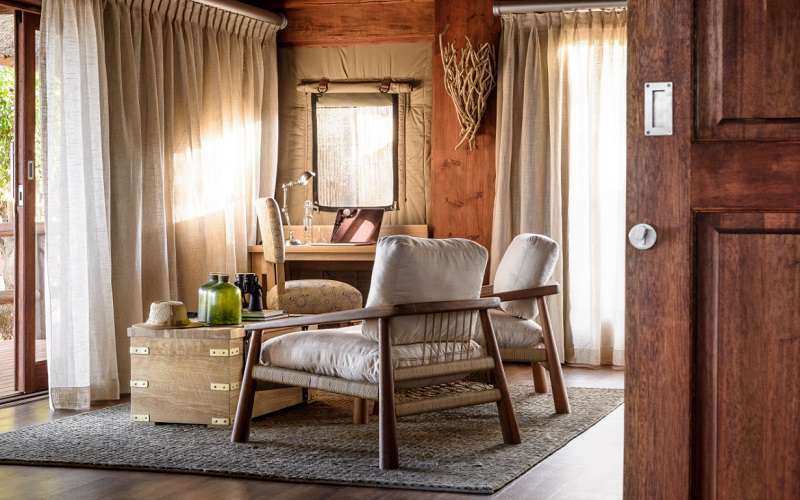 Thatched roofs, spacious seating areas, en-suite facilities with indoor and outdoor shower and a private game viewing deck with hammock and deck chairs ensures that each suite is perfectly equipped for a comfortable and indulgent stay in Botswana. 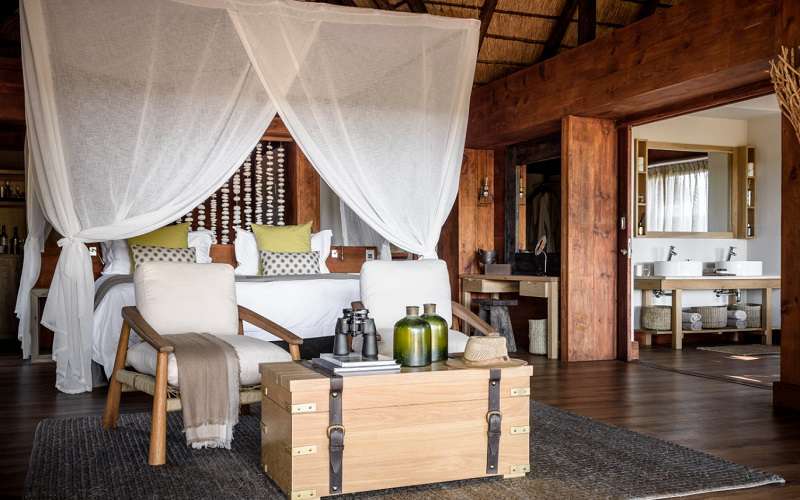 In addition, mosquito nets are draped over four-poster beds. Extra amenities include two wardrobes, a book shelf, writing desk and mini bar. 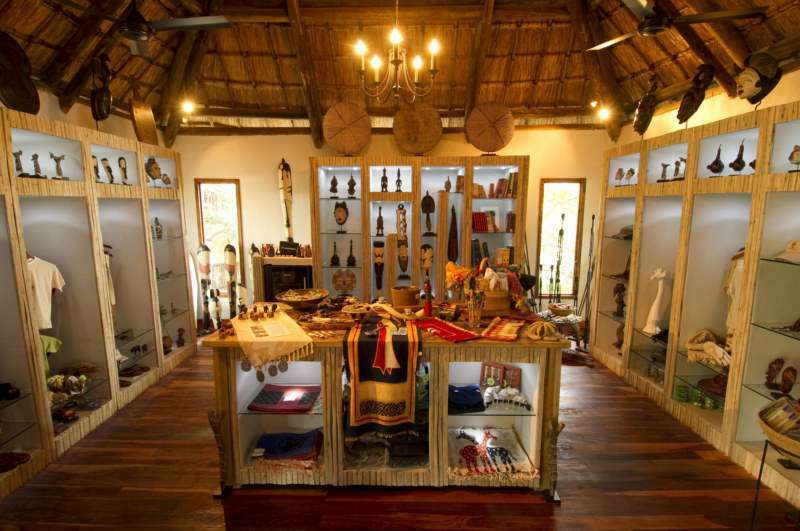 The main lodge complex contains the dining area, curio shop, library and reception area. The refreshing waters of the swimming pool and the range of indulgent spa treatments offered by our beauty therapist in a poolside treatment sala during high season guarantee a relaxing retreat for the guest requiring some real TLC. 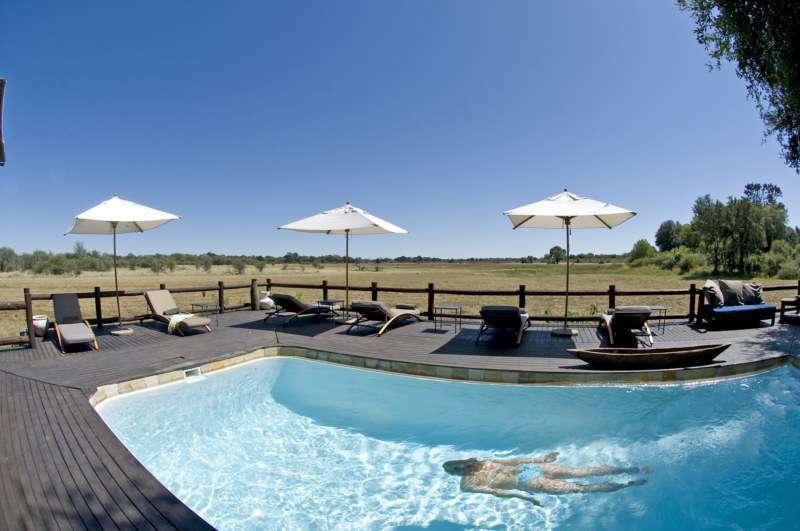 The array of wildlife is ideally viewed from the semi-open 4 x 4 vehicles or mokoros, which are traditional dug-out canoes. 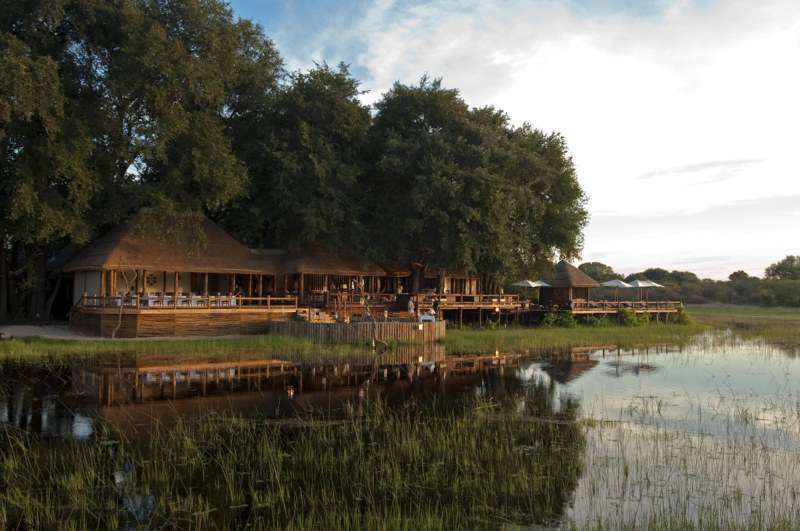 Mokoros float silently down the waterways and provide an up-close-and-personal view of the life around the Delta. 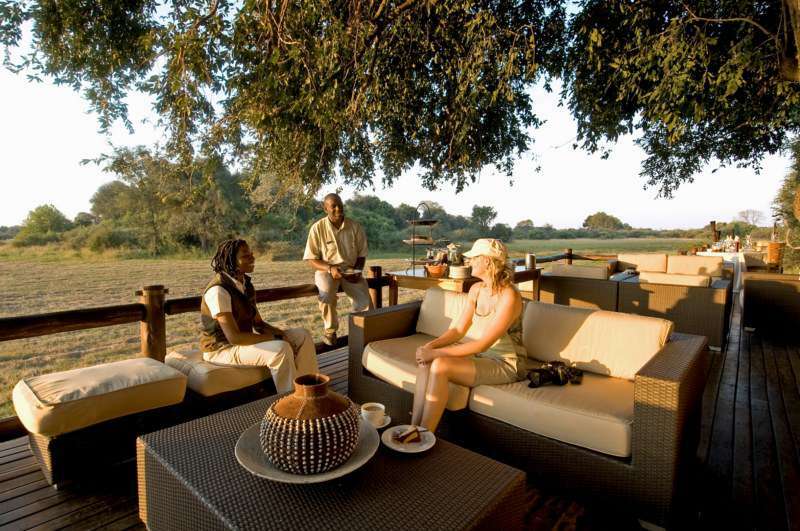 Qualified guides enable guests to gain the full benefit from their experience in the wild. 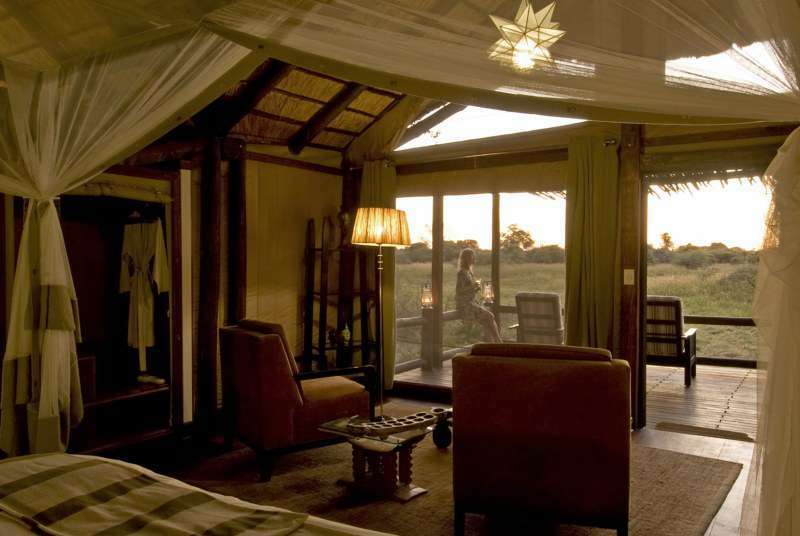 Chief's Camp comprises 12 opulent bush pavilions, with large seating / living areas and a private game viewing deck, complete with hammock. Three of the suites have king-sized beds, while the remaining nine are outfitted with twin beds. 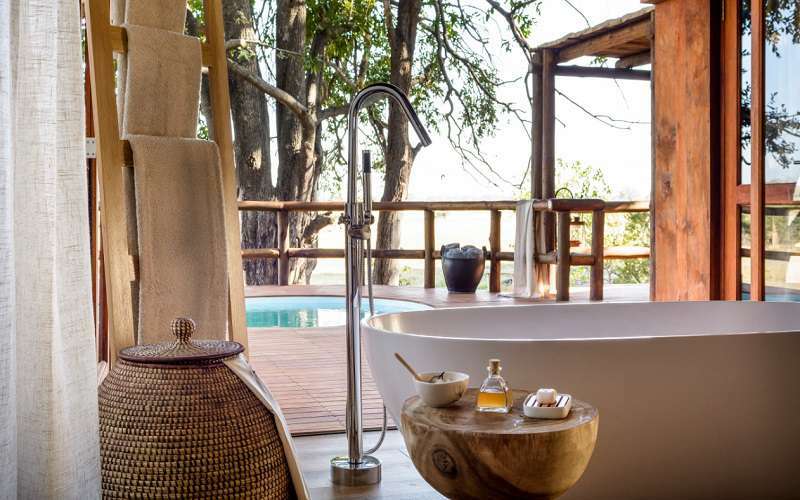 All have en-suite facilities with shower and the added treat of an outdoor shower. Rooms are equipped with a hairdryer, ceiling fan, in-room safe, emergency intercom and minibar. 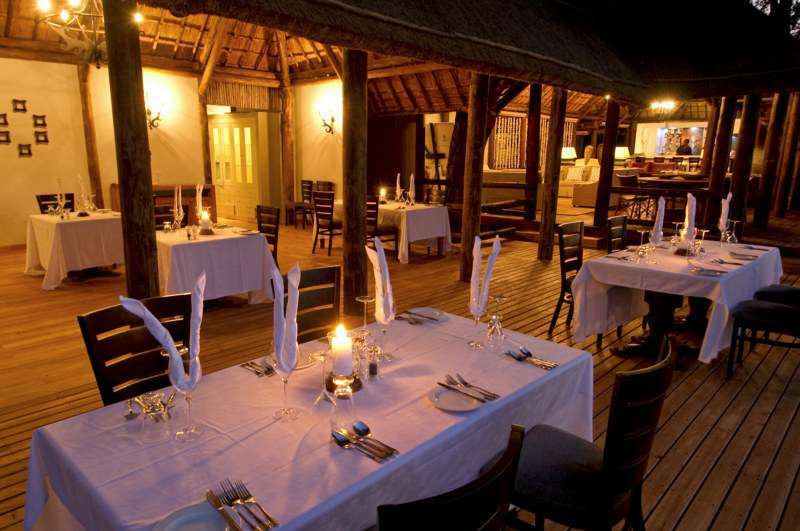 The inviting dining area, licensed bar, charming curio shop, old-world library and helpful reception area are all located within the main lodge complex. This complex was constructed to morph into the natural surrounds, under an umbrella of protective of jackalberry-, sausage- and rain trees. 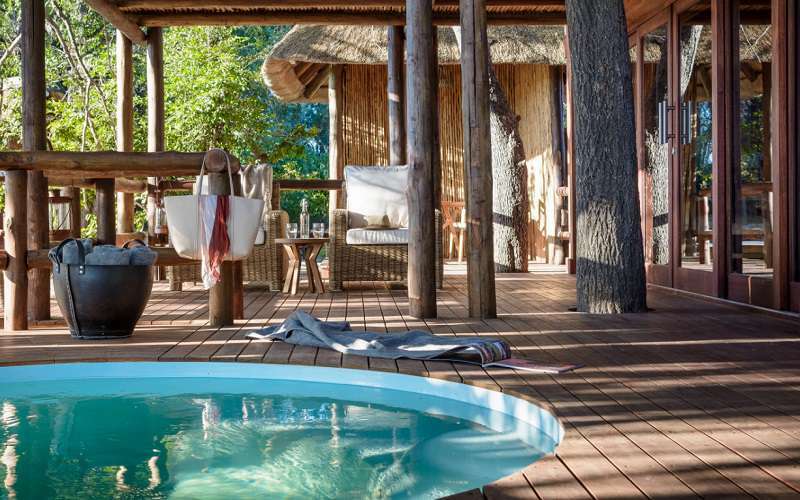 The upper main deck accessible to guests is the ideal platform from which to view the stunning floodplains, while the lower deck is a refreshing retreat for hot guests needing a dip in the refreshing swimming pool. 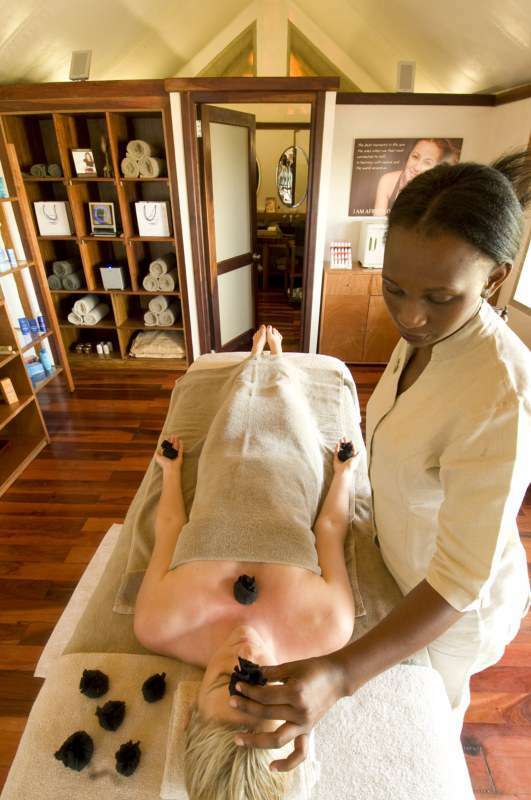 Equally refreshing for the weary traveller is the range of spa treatments, guaranteed to revitalise. 240 volts of electricity is supplied by a silent generator system, which provides power 24 hours a day. 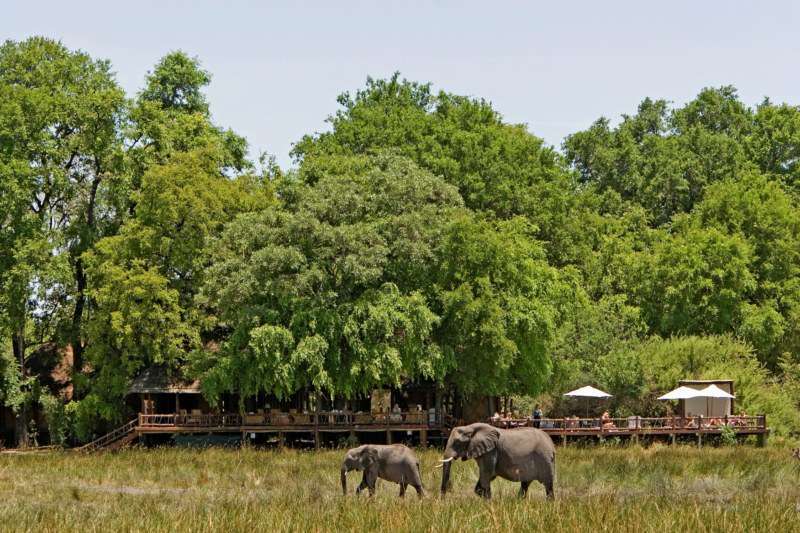 The Chief's Camp surrounds are renowned for their diversity and concentration of incredible wildlife, particularly elephant and buffalo. White rhino were introduced into the area in 2001 and its black counterpart in 2003. Early morning and late afternoon are the best to view the wide range of animals homed in this area. These drives are conducted in custom-built 4 X 4 vehicles. These vehicles are open and boast comfortable, individual seating - offering the optimal all-round experience. 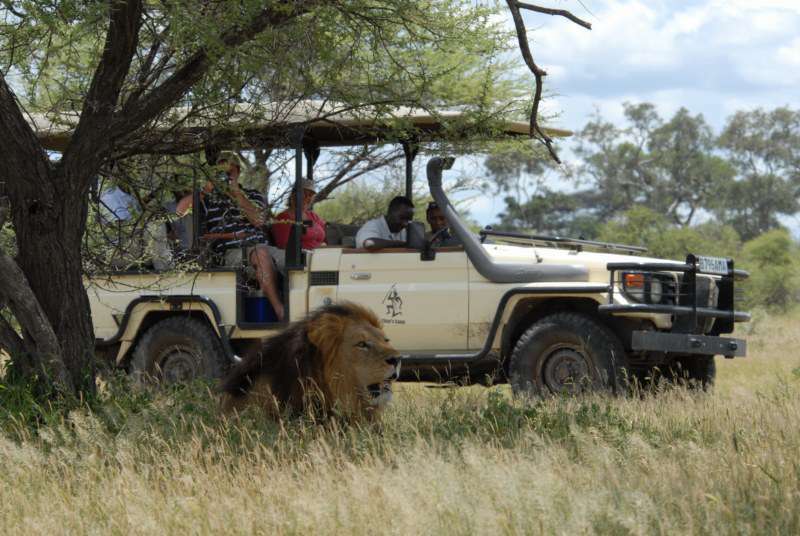 Game drives are also conducted at other pre-approved times (subject to availability). Expert guides are always resent and are rates as being some of the best in the country. 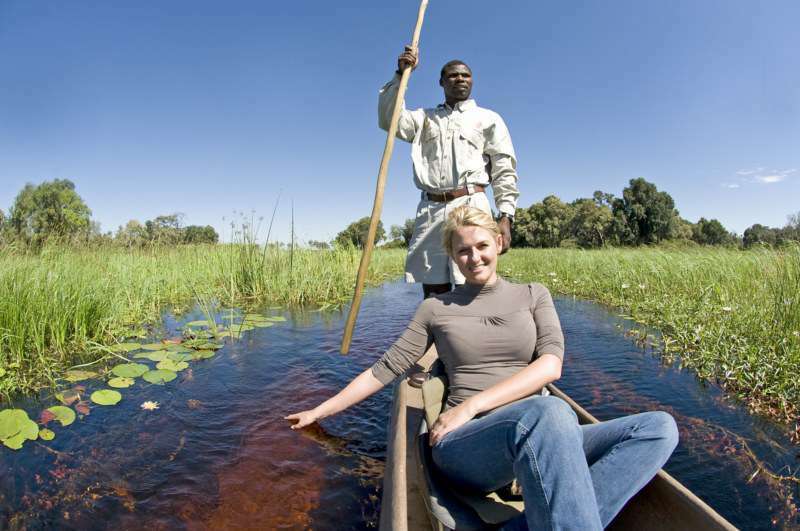 Water safaris are conducted from mokoros (traditional dugout canoe), where guides pole visitors along the calm waters of the Botswana waterways (subject to water levels). 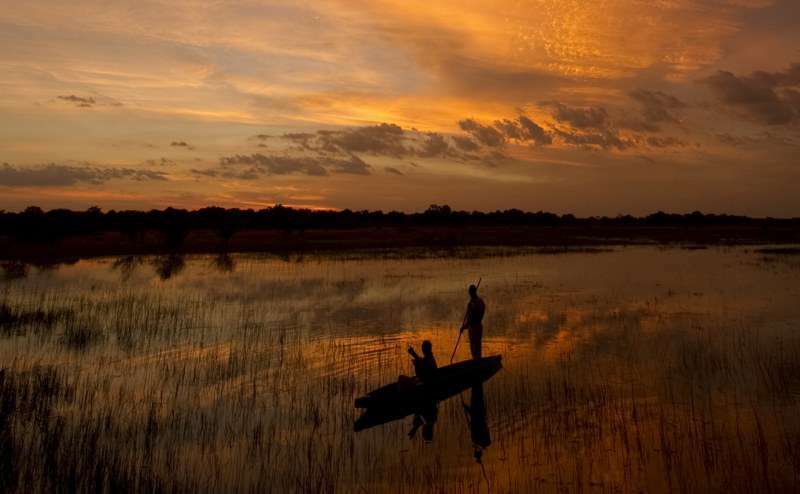 Botswana's "wet" season usually extends from late December to early March, when hot, sunny days are suspended by afternoon thundershowers, cleansing the air and dampening the dust. During this time, average daily temperatures range from 20? C to a sweltering 38?C. 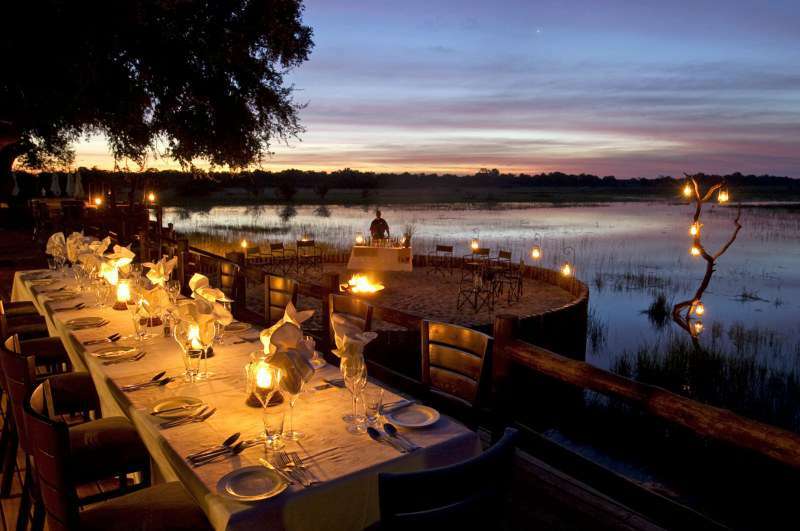 During this season, newborn animals, blooming flowers and the migration of beautiful bird species converge in the oasis of the Okavango Delta. Because of this prosperity of life, predators are also in action, and provide fantastic opportunities for observation. Late March to early December sees the "dry" season, or winter. Temperatures range from an icy 0?C at night to a daily average of about 26?C to 28?C. April to May, the autumn season, still boasts relatively hot days of about 32?C, with chilly mornings and evenings, when temperatures drop to approximately 10?C. Spring (September to November) begins its days at about 15?C, which rises up to a toasty 38?C. June and November are generally considered to be periods of peak game-viewing. Visitors are advised to ensure that all clothing is cool and comfortable. Knitted tops and heavy jackets are essential for the cold winter mornings and evenings. 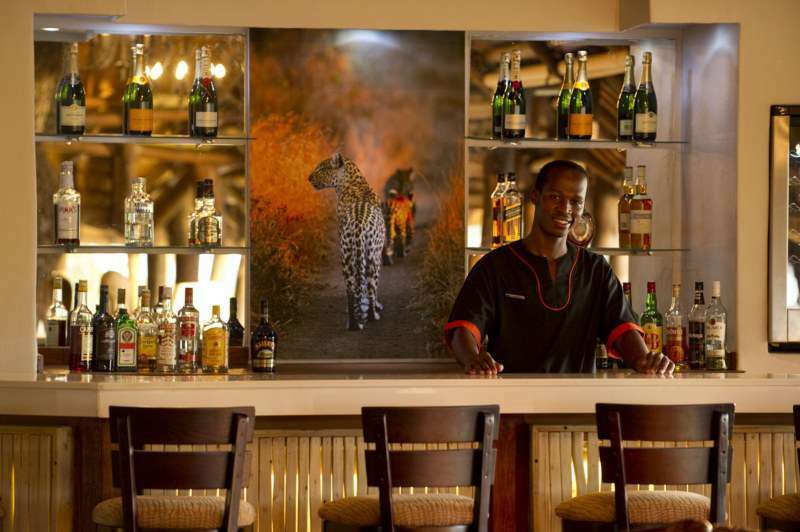 For game drives and safari trips, mute-coloured clothing is best. Long-sleeved tops and long trousers are essential for morning and evening expeditions to avoid malaria-carrying mosquito bites. Comfortable, closed shoes are essential. A full laundry service is offered daily, at no extra charge. Due to the open nature of Chief's Camp, children under 9 years of age are not permitted. Chief's Camp boasts a private licensed airstrip (at coordinates S19.18.44 E022.54.34). This airstrip is conveniently situated only 2 kilometres from the camp. 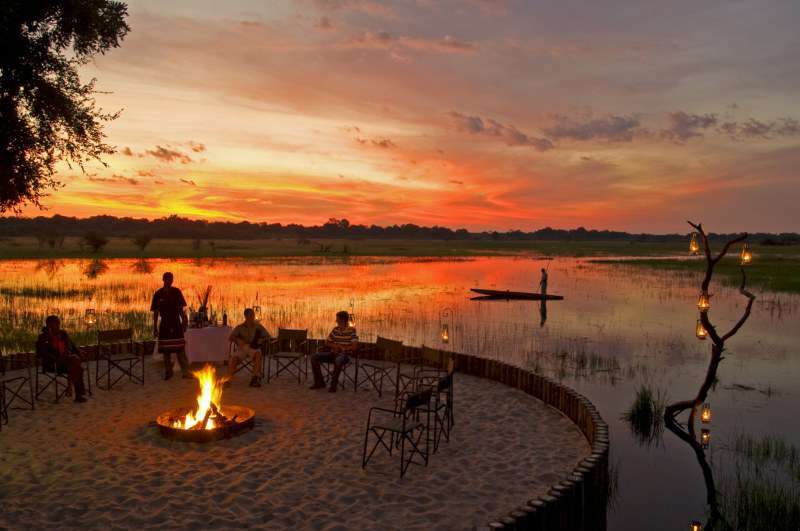 The camp is accessible by air from Maun (approximately 25 minutes' drive), and Kasane (about 1.5 hours away), as well as all other delta camps. Please note the luggage restriction is 12kgs per person in a soft-sided bag.